Denver’s teacher pay model is perhaps the best known of any approach taken by a school district around the country. While ProComp, as it is called, was never quite as groundbreaking as it was purported to be, it drew deserved attention for being better than awful — the best way to characterize the anachronistic way most school districts set their teacher salaries. For all of ProComp’s faults — chiefly its inability to significantly reward genuinely great teachers, but also an overly complicated structure that doles out bonuses in dribs and drabs — it did move the ball down the field. Not a touchdown, but a few good first downs, and that pigskin is certainly in the opposing team’s territory. Yet the Denver teachers union would prefer to sideline the significant advances ProComp did provide, most notably paying educators more money to work in the city’s toughest schools. What most districts never seem to get, but Denver does, is that compensation is an employer’s most important tool for buying what it values. Strategic use of compensation helps employers attract and retain the knowledgeable, skilled people they most need and fill the jobs that are hardest to staff. Unions, on the other hand, would have districts use compensation as the Great Equalizer. They want it to uphold the pretense that all teachers are equally valuable to a district, no matter what they can teach, how well they teach or where they are willing to teach. Try telling teachers who work in the highest-poverty schools in Denver’s Montbello area that their job is no more challenging than that of those working in Cherry Creek. Even the teachers in Cherry Creek know it’s not true. In the current negotiation over compensation, the district is proposing a modest $2,500 bonus each year to any teacher who works in a high-poverty school (currently some 70 schools) and an additional $2,500 if their school is also one of the 30 most challenging in the district. Compare that sum to the $20,000 annual bonus that the best teachers in Washington, D.C., receive for taking on such positions. Still, the Denver union wants to reduce the district’s bonus to $1,500 — harking back to that same dribs-and-drabs bonus system that probably led to ProComp losing its luster. For a paltry $1,500, no teacher is going to trade a job at which kids come to school well fed, well rested, and with relatively stable lives for one where none of those things are true. Two years ago, my organization named Denver a Great District for Great Teachers, one of only eight districts in the nation to earn this status. We also highlighted Denver as one of six places in the country that is making a difference with its teacher evaluation system and working to strategically deploy compensation dollars to recognize great teachers. Part of the reason for these accolades is the willingness of the district, along with its teachers union, to take bold steps toward ensuring high-quality teachers for all students. 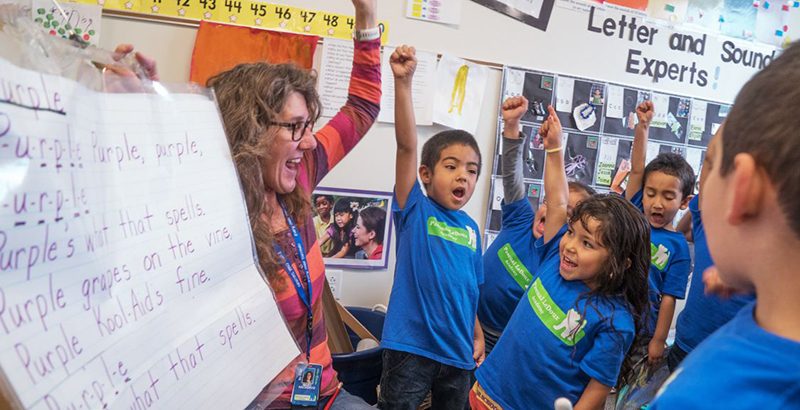 ProComp was possible only because Denver voters approved a significant tax increase to fund it, persuaded that the district was serious about connecting teacher compensation to student success. This push by the union to revert to the discarded system not only puts the district back at its own 10-yard line but is no less than a broken promise to Denver’s citizenry. Kate Walsh is president of the National Council on Teacher Quality.